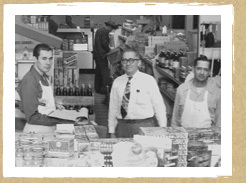 At Klein’s we still believe in selling the finest quality products combined with old fashioned customer service just like my grandfather provided. In the 1920’s and 1930’s he would drive his Model A pick-up truck, just like the one featured in our logo, to the produce markets of Houston to gather the freshest produce and goods possible. By the afternoon, his customer’s products were often personally delivered to their doorstep. While we can’t personally deliver to each of our customers today, we still uphold his philosophy of customer service. We guarantee your satisfaction with any Klein Bros. products or we will make it right with an appropriate exchange or refund. Please contact our Customer Service department at 1-888-KLEINTX or 1-888-553-4689 with any questions. 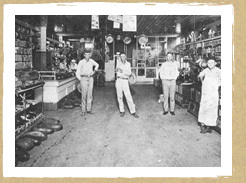 Regular working hours for Klein Bros. is Monday –Friday 8:30 a.m. to 5:00 p.m. CST. There are no shipments processed on Saturday and Sunday. For any questions regarding our shipping policies, please contact Customer Service at 1-888-KLEINTX (1-888-553-4689). We ship all packages via FedEx from our home office in Tomball, Texas. Orders generally ship within 2 business days for in-stock items. Gift baskets may take longer to ship. You can calculate your shipping rate based on the items in your cart using live UPS rates during checkout. No charts or price ranges to read or calculate – it’s all based on your order! Shipping can be upgraded for additional charges if you choose. Some shipments within Texas may be sent Lone Star Overnight. Klein Bros. does not currently ship orders to P.O. Boxes. FedEx will provide a tracking number for your package where you can follow your shipment and estimate the date of delivery to you. Shipping dates during November and December are subject to change without notice due to the volume of packages and carrier’s shipping schedules, which are out of our control. To ensure holiday delivery, please place orders early. For corporate gifts or special orders, please contact us at 1-888-KLEINTX (1-888-553-4689) or email us at sales@nativetexanfoods.com. Launched in 1999 by the Texas Department of Agriculture, GO TEXAN promotes the products, culture and communities that call Texas home. When you see the GO TEXAN logo, you've found Lone Star pride. Find out more at www.gotexan.org. Copyright © 2019 Klein Bros. Store. All Rights Reserved.